Elevate your night-time style, starting with this stunning Black Occasion Prom Dress! We adore this wicked wrap dress with that lush layered detailing that rests elegantly on the shoulders and gorgeous gathered skirt creating a fabulous Hollywood glamour style. One to take to posh parties, and Stately Home weddings, this lush LBD will become your proud prom dress at every formal occasion. 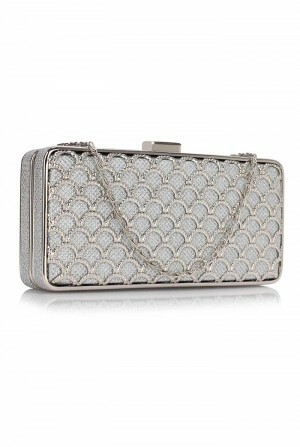 Ramp up the shimmer with some super sparkly studs and a metallic clutch!